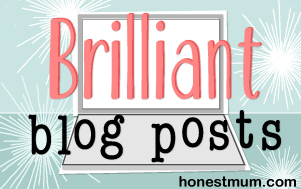 My Jewellery Story - Buttons, chicken legs and macaroni necklaces. My interest in jewellery began a long time ago. As a very small child I was obsessed with the button box. My mum loved to sew and she had (has) an ugly 70s ridged plastic tub, full of buttons. It was deemed a very special treat, yes kids, this was before iPads were invented, to empty out the buttons and play with them. There were some ‘ordinary buttons’ but the ones my sisters and I loved the most were the sparkly ones, the ones from our baby clothes, the little ducks or flowers. ones printed with numbers or butterflies. I remember some little rabbits that were still living in that box long after the clothes had gone on to the charity shop. There was something about the littleness of them and the intricate detail that really appealed to me, in the same way that I love the finer details of the jewellery making process today. Another object of fascination was my Nana’s jewellery box. She had been quite the 50s glamourpuss and had a fabulous collection of crystal jewellery. I loved the beaded necklaces and earrings. There was a particular necklace that I adored. I would hold it up to the sunlight and move it around watching the colours bounce off the walls. 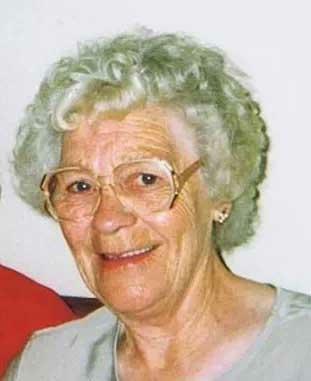 Ironically when she died many years later, her beautiful sparkly crystals were all gone, mostly replaced by things I’d made her. I made her something every Christmas. I wonder what happened to the blingy crystals? Caroline, Claire and I: the macaroni necklace years. Good times. Another fond jewellery memory from childhood was making ‘macaroni necklaces’ with mum and my sisters. 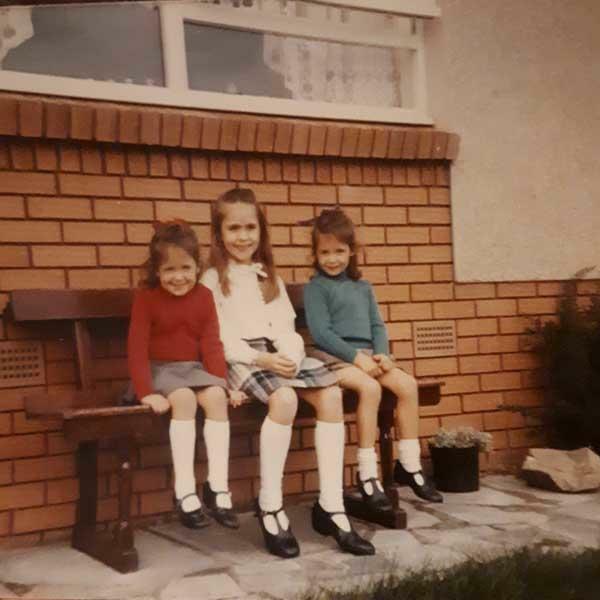 This was a time when nail colours were limited to pink, orange, red and perhaps brown, but mum made a special trip to Edinburgh’s goth shops on Cockburn Street to buy us some mad colours. Not for our nails, but to paint dried macaroni, which we then threaded up to make hideous necklaces which we thought were totally cool. Good times! So why I wonder, was mum so surprised when I decided I wanted to study at Art College!? Actually she was horrified! I was pretty academic and enjoyed learning and she harboured an expectation of Law or Accountancy, something 'proper'. I actually applied to study Maths at some of the top universities in Scotland and was awarded unconditional places but, much to her disappointment, I turned them all down. Three days later I found out I hadn’t got into art college! Disaster! I ended up spending a year in the pretty little seaside town of Arbroath, where a talented painter called Brian had set up a course at the local college of FE, Angus College. It aimed at getting people accepted into Art College, it was a mad year, a rite of passage. 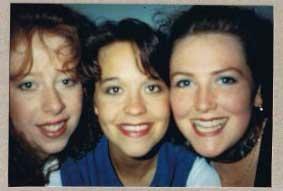 Friendships formed that year are still going strong and I found my feet living on my own for the first time. I painted and drew every day and I drew a naked person for the first time, my love affair with life drawing began! I drank too much and I had a lot of fun. MOST IMPORTANTLY THOUGH, I GOT INTO ART COLLEGE! Trace, Em and Jillian. 17 and having a ball! So onwards to Dundee, 4 years of studying and after the first year I found myself in the jewellery department. I loved the detail, I loved the accuracy, I loved the material. However I was still drawn to the human figure and managed to manoeuvre my way into the animation department ‘on the side’ I studied 3D stop motion animation alongside my main study and I loved both. I made plasticine models with silver parts, little crowns and sceptres. I had amazing tutors in both areas and I loved my time in Dundee. I made a little film. I made some small scale metal sculptures decorated with patterns made with letters and pieces of poetry running around them. Little did I know I would still be stamping messages and quotes into metal 20 years later! 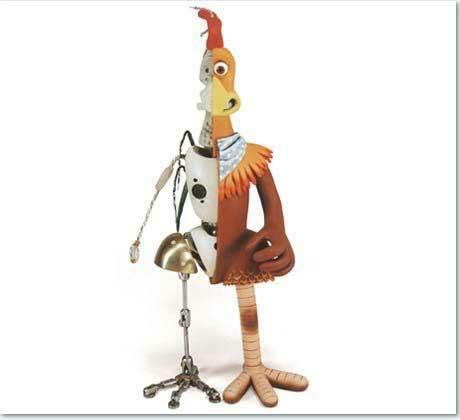 I made (most of) the chicken legs in, Aardman Animation’s first feature length film, ‘Chicken Run’. There’s my claim to fame! I soldered together little chicken leg armatures (skeletons) every day for 9 months. I had to get them accurate to 0.1mm overall. And no, I didn’t get to meet Mel Gibson. I did get my name on the credits though, which was unexpected and really cool. It was fun and I met some great people but Bristol was not home and I moved up north again soon afterwards. Finally I began making jewellery for a living! My first outlet was Kath Libbert Jewellery in Saltaire, I sent her some pieces for her Christmas show. I made silver and copper perfume atomisers with tiny lines of poetry stamped into them, or larger letters tumbling in chaotic patterns hiding messages and thoughts, with some little stamped hearts dotted around. They took me an age to make and were therefore quite expensive. She called me on the phone, rather crestfallen. She apologised that she’d only sold one…I was overjoyed! She’d sold one of MY pieces! In my mind it was a win! She asked me then if I’d make some jewellery for her valentines show, she needed it within a week! I banged something out and it all sold, this became my main collection for about 5 years. I still get asked for the stamped hearts today but I moved on. The poetry and the lettering however still exists in my work today. 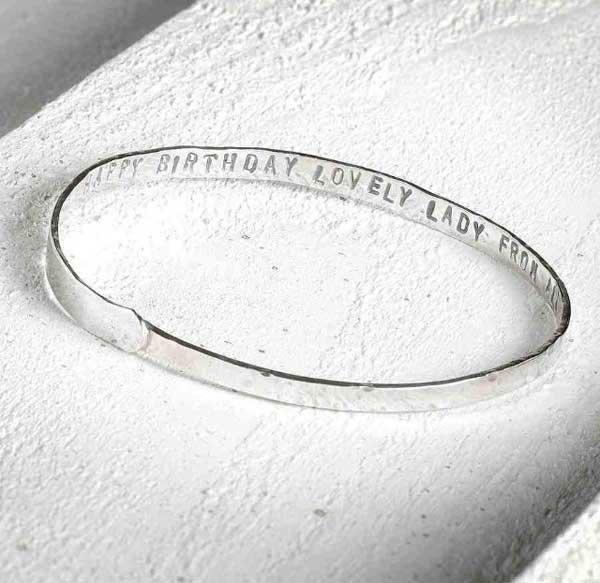 Poetry pieces, evolved into personalised jewellery to celebrate all sorts of occasions. Since then I have worked with jewellery in so many different ways, but always as a maker first. Also though as a retailer, I co owned a shop selling contemporary jewellery for 8 years, closing when the online side of the business took over and whilst heavily pregnant with my first child. I’ve also helped others set up and develop their creative businesses through my work at Bradford College’s Fellowship Scheme. I’ve written about jewellery for magazines, most recently for on: yorkshire magazine and the West Leeds Mumbler, I’ve sold online and in person. I’ve worked to commission, I’ve produced ‘ranges’. I fell naturally into the ‘personalised jewellery’ trend with my background in stamped poetry. I love all that is handmade and interesting, I love silver and gold and even copper. I teach. I love to teach. After 20 years of making I am so excited to pass on my skills to others, I love watching them achieve and feel proud of their creations. I love the solitude of the studio when I’m working alone, but I also love the buzz of teaching others, chatting to people and hearing their stories makes jewellery come alive, a living breathing representation of the people who make it, gift it and wear it. I’ve made jewellery to celebrate birth, symbolise marriage and honour bereavement. Jewellery marks all of our live’s landmarks and I believe it has a power all of it’s own. I love that my jewellery will be around long after I am dead and buried and it will carry it’s own story forward when I am silenced. Jewellery tells a tale. 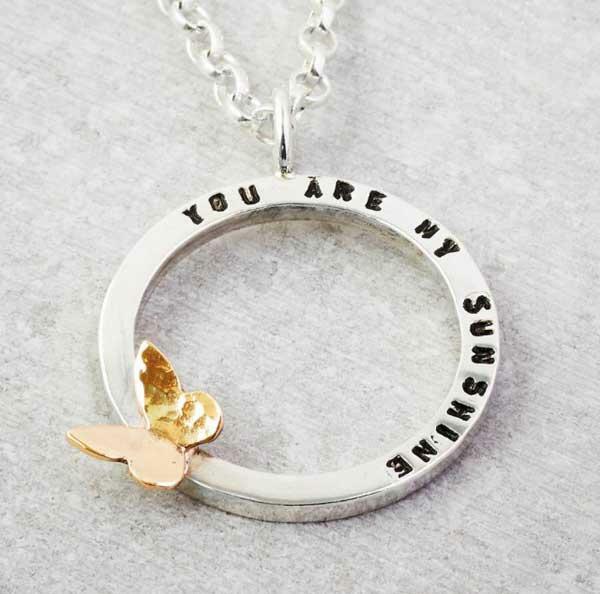 A favourite song from my childhood, on a silver necklace with a solid gold butterfly. Now I face a new challenge. As the mother of 3 beautiful babies I have realised that I can no longer work 12 hours a day at the bench, and I don’t want to. I also recognise that there is a gap in the market for jewellery makers who want to sell online but do not have the time or resources to invest in it. Many talented jewellery makers make fantastic jewellery but they aren’t photographers. My husband is a talented photographer, this gives us an opportunity! Check out his website here. Many jewellers don’t have the time to write blogs, build websites, pimp up their social media, but I love all of that! Check out our instagram here and our facebook here. There’s also a gap for the customer who loves handmade jewellery, no one else provides a platform that sells only really beautiful handmade jewellery. WELL, THERE IS NOW! Welcome to my beautiful website, please explore the 6 makers I currently showcase and watch out for another 6 coming over this summer amongst a total rebrand and lots of offers, promotions and exciting products for jewellery fans. Give me whirl on social media and I’ll try to keep you entertained. The Jewellery Makers and I are ready to up the game, working together and pooling our strengths to create something new and fresh for you to celebrate your life and make you feel amazing, whether you are giving it or wearing it.